Well, I already showed my disagreement with the nominations of Filmfare, through my tweets. 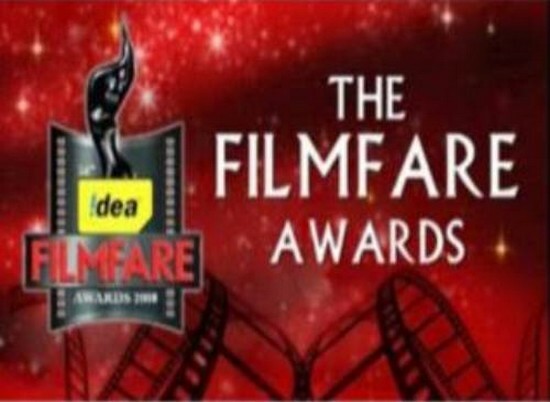 But still, here are the winners of Filmfare awards 2011. Thousands of praises are already all over the web-space. As always, Vishal teams up with Gulzaar saab, and the result is as expected, awesome [such an understatement for both of them, no?]. While the addictive 'Darrrling' is already darling of all, it has two versions ['Doosri Darling' !] that are yet not enough for music lovers. Usha Uthup-after a long time- takes us on fun ride along with Rekha Bhardwaj. Gulzar again mixes up casual words with pure Urdu, and the result is outstanding. Next track is the best from the album. Why not? Its credited to Vishal himself as a singer. Starting smoothly, 'Bekaraan' [means restless] reaches its [almost lyrically orgasmic] peak in the last para. How we are indebted to Gulzar saab for keeping such poetry alive ! 'O Mama' travels different genre after the first two. KK in a rock track is a sure shot. Surprised Gulzar's words can be used in such song too !! Acoustic version of the song is as interesting as this one. Next up, dark 'Aawara' sets perfect mood for the dark movie, sung by Master Saleem -the thumping beats makes an interesting listen. The opening scene, that shows a taxi and Marine Drive through its window, shot by hand held cam, and dialogues in background - this alone makes audience feel that this is going to be a wonderful cinematic experience. Mumbai-has been depicted 'n' times by our film makers. Each film has its own story to tell, very few get it right on. And when it comes to our new breed of directors, its a win-win situation for viewers. Recently we saw fantastic Wake Up Sid that portrayed colors of the city, on the other hand, OUATIM and Striker took us to dark past of the maximum city. Now its Kiran Rao's turn, to show Mumbai through eyes of outsiders-especially-women. Weaving of four lives is the highlight of the screenplay. 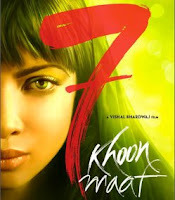 Especially, the part of Yasmin Noor [played by Kriti Malhotra - marvelous natural performance]. She has got the best dialogues throughout the movie. The way she describes the city, the lives of people and her own life-simply lovable and intriguing. [Don't want to spoil for those who haven't seen it] Loved the way her life is shown in the movie. How Arun [Aamir Khan] gets affected by her and how his life gets changed, while two parallels are running simultaneously - Munna [Prateik] and Shai [Monica Dogra], that touches Arun's life too. Not a single character goes unnoticed by the viewer, the smallest part is important [for example-Yasmin's maid and her daughter]. Apart from Kriti Malhotra, the central character Munna [Prateik Babbar] is outstanding. One can not ignore his charm on screen. Playing a dhobi who aspires to become an actor some day-Pratiek shines in his part. Smoothly he portrays the inquisitiveness of a slum dweller. Aamir - [now you know what I will write for him :P] is excellent as always-but I hope he won't do such roles again-i fear he will get typecast-that itself is against his own rules. But yes, the climax gets brilliant because of him. [OMG moment is-the painting]. Monica Dogra as Shai-is perfect for her part. Whats noteworthy in the film is its direction. Most of the crucial scenes filmed by hand held camera that makes it really interesting. And that too-not as a gimmick but has been done purposefully. Even the still photographs are used brilliantly to show the moods of city. Cinematography by Tushar Kanti Ray is one of the heart of the film - so is the scintillating score by Gustavo Santaolalla. Wondering whose idea was-to use classical music [thumris?] as part of many scenes, the score keeps viewer's attention attached to the story and characters. Its a poetry about the city and the lives of Mumbai. [repeating from WUS review] If you love the city of Mumbai - this one is a must watch. on a side note - Blogger dost Dolce's review quoted that- "Aamir did announce 2-3 times before screening at Toronto Festival- that 'this is not Ghajini'." This and such scenes from NOKJ are one tight slap on our 'so called' high-profile society. Such shocking revelations comes in front of us through this movie. Though we all know how this happened, each event is known to us. And that was the tough call for Rajkumar Gupta. To portray an already known, already 'in people's mind' case, on big screen. The movie starts off really well and succeds to hold attention of viewers. You can feel the tension in the atmosphere, and pulse going high during courtroom drama and the club scene. But after intermission, somewhat lag is there in the pace. Maybe it was so because we have already been spoilt by the best in that genre - Rang De Basanti. But still, its the performance of leading ladies and dialogues that does not make it loose the hold. Neil Bhoopalam as the prime witness Vikram Jaisingh [in real life-Shayan Munshi] is really good. While Rajesh Sharma, is excellent as the investigating officer. There is something about the city of Delhi. Whenever a movie is based in it, Delhi itself becomes a vital part. In NOKJ, you know its going to be awesome when the movie starts of with the 'dilli dilli' song, and few shots about 'Power of Dilli'. So is the power of women. Vidya's character 'Sabrina' is somewhat dull and lack of fire in her. But that is understood when one go through such trauma. While Rani sweeps away with her fire brand jurno role. Still, I can't say 'she's back' because movies like this, are not made frequently. Amit Trivedi's score is well integrated in the film. Especially 'Yeh Pal' and the 'dilli' theme throughout the movie. I personally feel that the score in the finale, could have been better. No doubt the song 'Dua' is good, but it lacks the punch. [again, I am spoilt by RDB here, remember the pulsating score of Rahman in Candle light vigil scene?, oh and good that they have featured that scene in this movie too]. My only complaint to Rajkumar Gupta is - why the name of culprit is changed in the movie? Manu Sharama deserves to be hated by each who watches this movie. Or you thought Jessica and Sabrina's names should be retained to get more eyeballs ? Kya ek individual ki keemat itni sasti hai hamaare desh mein? Last note : Read the Wikipedia article about the case 'here'. Before watching the movie. That will shock you how some huge names in High society are involved in the real life incident. 17th Annual Star Screen Awards were announced last night. Since past few years, Filmfare lost their credibility at least for me. Many choices were debatable. And Screen Awards are quite balanced ones. But this time, it seems they too have lost it just to please everyone in the industry. Giving 'Popular' awards, 'Best Performer' awards and so on.. Here is the list of winners - with my take [and yes, these are 'my' thoughts, feel free to disagree]. I know I am taking risk by not agreeing with Udaan's awards. OK, it was a good movie, but it wasn't so perfect that it is the "best" of the year. Again - Ronit Roy for negative role. I think that should go to menacing Abhimanyu Singh in Rakhtcharitra, even Chhedi Singh of Dabaang. WTF is with Sajid-Wajid's award. No doubt, the song created waves-but it was plagiarized. And this IS the award which shall go to Udaan, also the award for best Lyricist. When it comes to award a female playback singer, we always tend to honor 'sweet, melodious' voice. But when will our awards grow up to mark the awesomeness of Sunidhi who can sing both-Sheila and Surili Ankhiyon wale-so effortlessly. 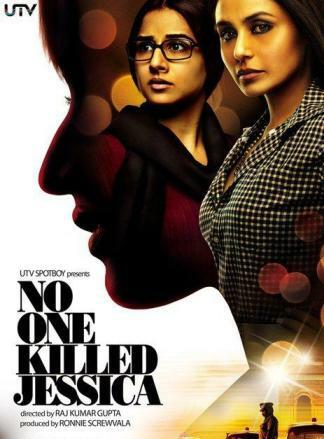 For screenplay - isn't the best should be 'razor sharp' and 'flawless'- which Raajneeti was not. No doubt first half was mind-blowing, second half was stretched. Seriously, Ajay for Golmaal??? Wasn't he awesome in Raajneeti or OUATIM ?